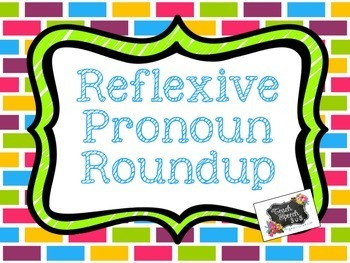 This activity targets reflexive pronouns. Reminder posters are included (pages 3-4). Cut out and laminate the reflexive pronouns on page 5. 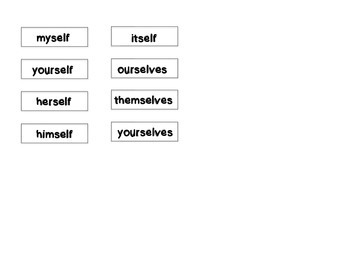 Have your students “insert” the correct reflexive pronoun into the sentence cards on pages 6-13. Cut out the cards and mix them up. If you have a group, you may want to print multiple copies of page 5, so that each student can practice individually. 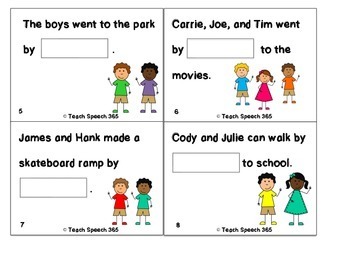 There are 4 fill in cards for each type of reflexive pronoun (32 cards). There is a sorting mat on page 15 and sentence cards that are either correct or incorrect (32 cards = 16 correct, 16 incorrect). Answer key provided on page 14.